I imagine that most people, when confronted with the end of a two-year sojourn in the City of Lights, would make plans to visit the unvisited museum (Louvre, check), finally scale the Eiffel Tower (soon, surely), eat the uneaten or discover the exhibition that will change history. The 19th century romantic in me feels pulled to Benjamin's passages and Baudelaire's promenades, even if they're overdone as subjects of literary flânerie. Harvey's Sacre Coeur is part of my daily run, part of life on the Hausmannian edges between the gentrified and the gentrifying. Parc des Impressionnistes with La Defense in the distance. Intramuros Paris is still fascinating, still full of impressive and controversial interventions into the urban fabric. 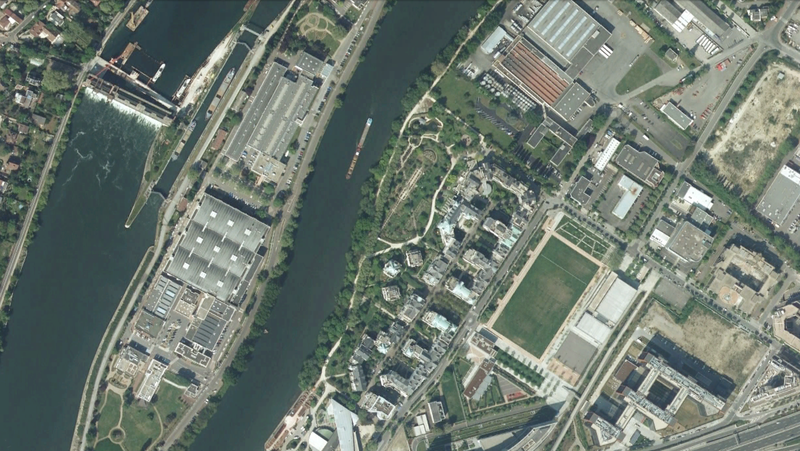 The gigantic Rive Gauche project continues to unfold, as does the Batignolles, transforming vast space once dedicated to train infrastructure without sacrificing trains as a mode of transportation. 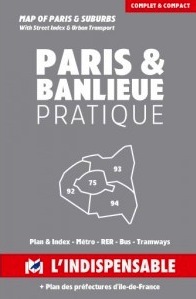 But as Laurent Vermeersch and I have argued on Polis, the banlieues (residential districts beyond the city center) are the main course for any conversation about change in metropolitan Paris and the Île-de-France region. In the comments section of Vermeersch's post, an anonymous reader asks how the banlieues' reputation for monotony survives despite their incredible diversity. The answer is, in part, included in the comment: "True, many people living in the City of Paris don't often set a foot in suburbs, but how many people living in Manhattan, Central London, San Francisco set the foot in the suburbs or in the outer districts of those cities? 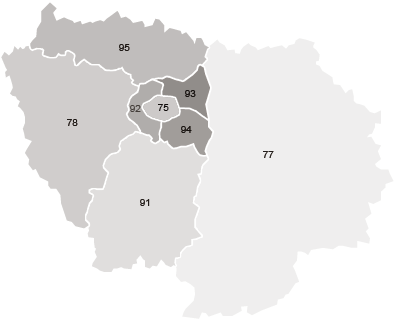 This is quite normal ... people living in the central area of the city don't go often in the periphery." Normal, yes; conducive to actually knowing anything about your region, no. So, armed with "L'Indispensable" (my old-school, low-tech guidebook), a streeted-out road bike and a proper camera, I've begun a mad dash around the first three rings of the banlieue. I hope to experience the diversity of this most misunderstood of contemporary urban spaces as it rapidly transforms. The pace of change eludes the navigational powers of my Indispensable (as well as Google and Apple combined); this project seems destined to continue long after I lose my Parisian address. Extramuros Paris is a bevy of surprising discoveries, a crazy patchwork of historical layerings with micro and macro interventions that make your head spin. All the things you'd expect to find are there — enormous cités (housing projects), freeways, old factories, new office complexes, residential neighborhoods of varying social compositions, malls and outlet stores, single-family homes and reminders that the banlieue is also suburbia. One of my favorite unexpected gems is the parks: not the fact that there are parks, but that there are awesome parks. A field to rest in can be hard to find in Paris, but not at the Parc des Chanteraines. 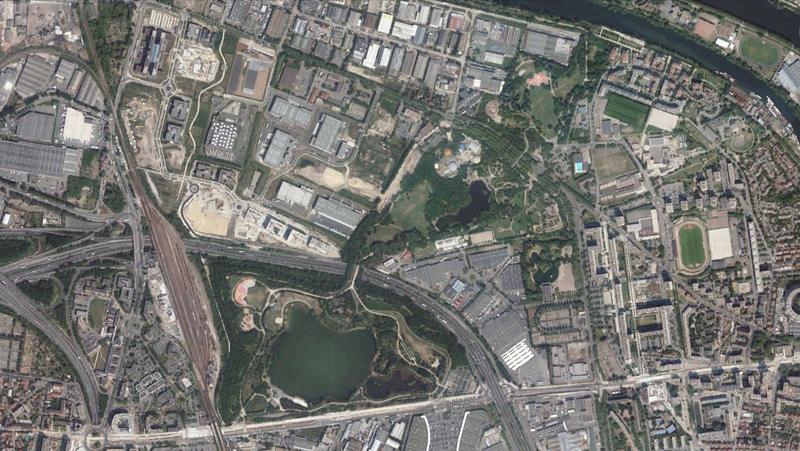 Two of these parks are in the northern transect, which crisscrosses the meandering border between the Hauts-de-Seine (92) and Seine-Saint-Denis (93) banlieue departments. Parc des Impressionnistes, in Hauts-de-Seine, is a bizarre update of Monet's perspective on urban life (the original is still accessible at Parc Monceau). It sounds hokey but it's totally brilliant, with quiet forested nooks, water lilies and big open fields. Wedged between train tracks, factories, neo-Haussmanian apartments, older modernist cités, a sewage treatment plant and various architectural remnants, it boasts a view of both the Sacre Coeur and La Defense, allowing one to contemplate the entire history of the Île-de-France in one sunny afternoon on the grass. Socially, it feels very much like a place between old and new industries and populations, a park that refuses the stereotypes associated with Hauts-de-Seine (bourgeois) and Seine-Saint-Denis (racialized poverty). Neo-Hausmannian buildings line the Parc des Impressionnistes. A few miles to the northeast lies the incredible Parc des Chanteraines, a meandering 75 hectares of fields, lakes, bird sanctuaries, pony clubs and prairies. Work on this park began in 1978 and proceeded in stages. From inside, it's hard to believe that you're surrounded by industrial zones. The landscape even cascades across a major freeway, such that you hardly realize what you're doing as you walk to the other side. You are standing on top of a seven-lane highway. The expansive fields are also an escape from the demographic monotony of the Buttes Chaumont and other leisure spaces of Bobo Paris, where more and more I feel surrounded by people who look like me. Chanteraines boasts a hyper-diverse set of parkgoers seeking respite from the concrete and steel that surrounds it. With the opening of the Saint-Denis/Asnières extension of the T3 tram, this respite is even more accessible from the racialized heart of Saint-Denis. On a sunny afternoon, you get a sense of just how nice this can be. People of many different backgrounds meet in the Parc des Chanteraines. Whether or not the transit-led revolution in the Parisian banlieue will be successful is a complex question that will unfold for another half-century, at least. Paris is not simply connecting the periphery to the center, but also taking on the more progressive challenge of connecting the periphery to itself. It certainly helps to have nice places to connect to — places that offer something unavailable inside the walls of the Boulevard Périphérique. Credits: Photos by Alex Schafran unless otherwise noted in the captions. parc des chanteraines is amazing!!!! i love the way it bridges the highway and helps to mitigate the all too common pattern of isolated poverty and pollution on the outskirts. i also hope this leads to more posts about these parks and how they came about. thank you for the introduction to them.